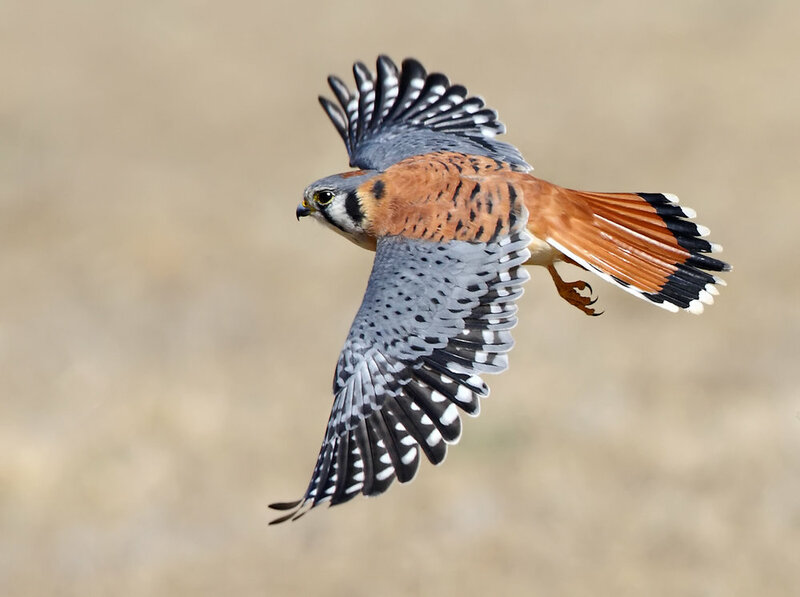 American Kestrels are a welcome presence throughout Virginia’s rural countryside, and a treat to observe in any season. The piercing cry of these magnificent little falcons echoing over farms and fields used to be a common occurrence, but not so much anymore. According to the North American Breeding Bird Survey, the kestrel population nationwide has decreased by half since the 1960’s. Habitat degradation, pesticides, and a lack of suitable nesting cavities are all contributing factors. 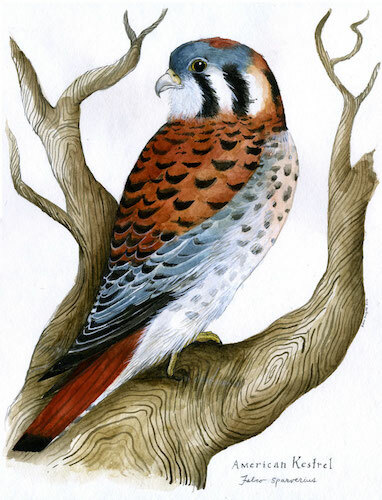 As with bluebirds, nest box programs can be effective in bolstering populations, and to this end the Virginia Society of Ornithology has established the American Kestrel Nest Box Project. The project is being carried out by the VSO’s Conservation Committee. To date (March 2018) the project team has over 450 boxes in 44 counties and 15 state parks. Suitable sites are sought out, and permission requested from landowners to host a nest box. Participants are then given information about the birds, suggestions for enhancing habitat, and encouraged to monitor the site. Educational programs for schools and civic groups are also an integral part of the initiative. The scope of the project is dependent on the amount of funding that can be acquired. Individual contributions are welcome and have sustained the project so far, and the VSO has received two generous donations from organizations dedicated to rural land preservation and wildlife conservation. For more information, contact Dan Bieker (danbieker@gmail.com) or Patti Reum (pareum@gmail.com).